I mentioned in this post that I'm using an empty wall in our dining room to create a small bar area. 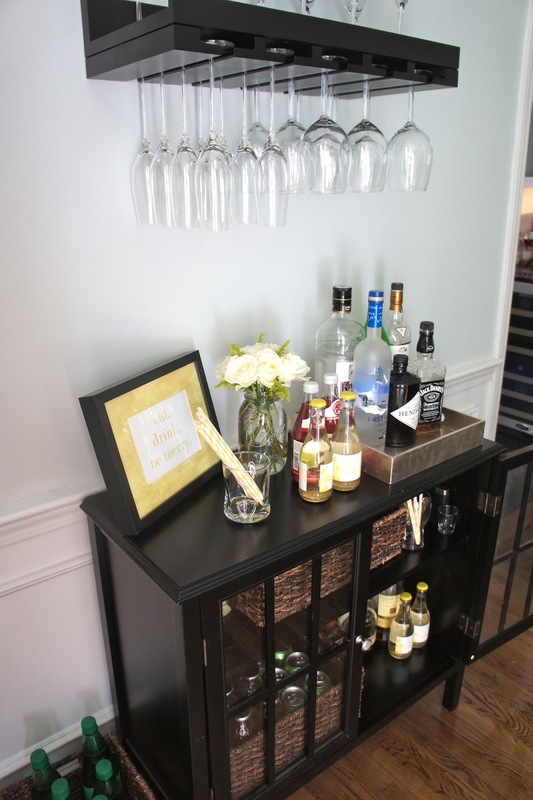 I used the Threshold Windham Accent Table from Target as my "bar cart" and hung the Pottery Barn Holman Entertaining Shelves above it for ample storage. I have a bunch of the Ikea Ribba frames kicking around, so I used one for a quick DIY project. I painted the matting with gold acrylic paint and printed the words "eat. drink. 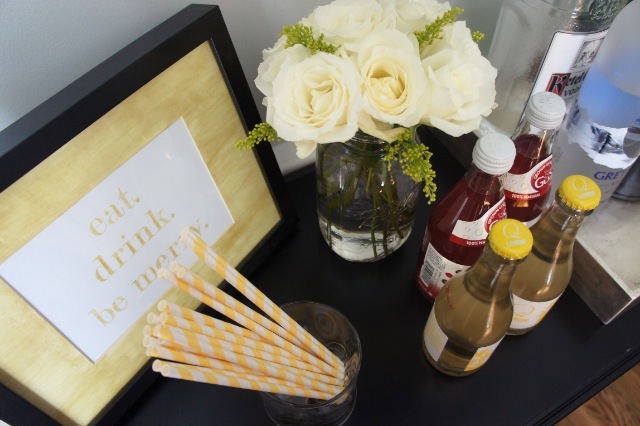 be merry." on my printer and colored the letters in with a gold colored pencil." Super easy! 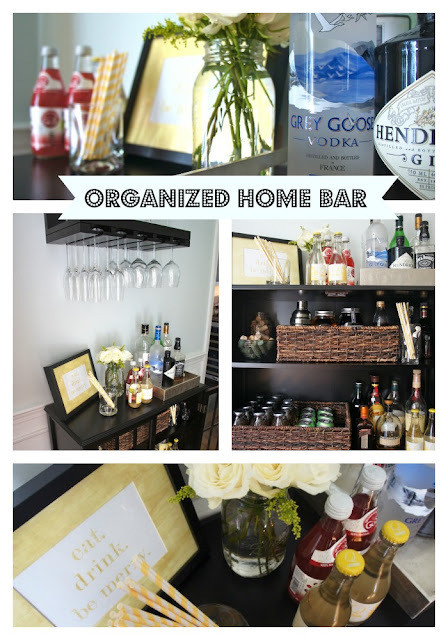 I used a small gold tray from West Elm to hold bottles of liquor. 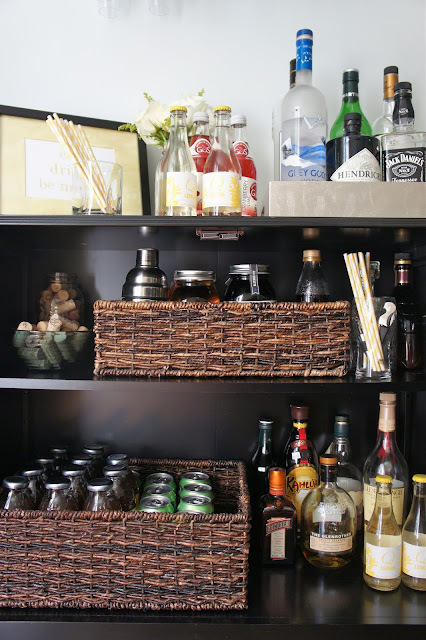 Inside the cabinet, I used baskets to hold bottles of seltzer and other mixers and a small bowl to collect our wine corks. Very cute! I love this! 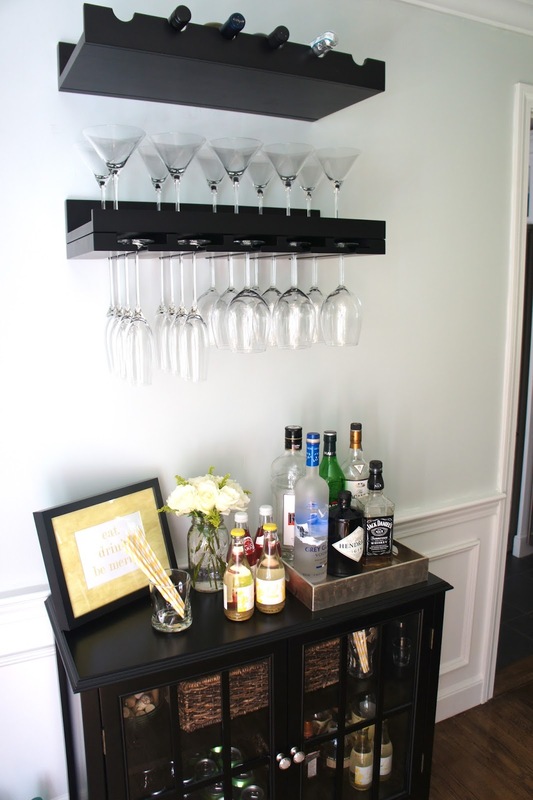 I need to make room for something like this in my kitchen. Thanks, Melissa! Would be perfect in a kitchen too! This is totally random, but is that jars of moonshine? lol. My dad bought Kevin a jar that looks just like one you have there, but it's moonshine. This looks fabulous. I would like to do something similar in our dining room. Love the cabinet choice. Do the shelves fit bottles as tall as grey goose? Would love to get the cabinet just trying to gauge if bottles will fit on the shelves. Thanks!